Chief Umtuch Middle School has 580 students in four grades (5th - 8th) and is located at the center of our school district. Battle Ground is a small rural town near the Columbia River, north of Portland, Oregon. Students from all over the Battle Ground School district come to this school to participate in the Aspire Program, a magnet program for gifted students. 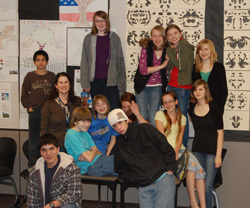 We are the 8th grade Aspire Class at Chief Umtuch Middle School. We are a class of 17 students and are doing the Archive-it project as part of our Language Arts/History block class. Mrs. Doughty has been teaching us, and we feel that it have been very important to help capture some of the information on the web. We know that this will help historians of the future find out about the past. This is a fun mass multi-player online role playing game site. What is popular here with everyone (mostly high schoolers & middle schoolers). On this website you can find all genres of music and can find songs and artists as well. I picked this website because it has a lot of great games and you can put in your own game and get points for your account. I picked this website because it shows the top 100 songs every week in every year. a great site for finding deals on any hockey gear imaginable! A HIGHER version of Claries that sells jewerly along with accessories. This website is about James Patterson and the books that he has written. This website also lists his newest and top seller books. A sock brand that just about every girl owns. the socks come in all different styles and colors. A men and women clothing store. It sells all sorts of things. Kohls is a department store for all ages. This website is about Megca Bot and it list books by her. This website also tells you what her newest books are and her bestseller. This is a fun, and cool games site . This website is abot Nicholas Sparks and it lists the books by him. This website also tells you what are his newest books and his bestseller books. This is the nickelodeon website with fun games for kids. An online shop that sells athletic wear and shoes. This website is about The Oregonian newspaper and this site tells you what is going on and the events coming on in the area we live in. This website is about Rick Riordan and it lists the books by him. On this site you can see his newset books and his bestsellers. This is a fun, and cool games site for teens. An online clothing store. Sells other things besides clothing. This is a fun and cool games site for kids. Silly bandz are very popular bracelets that are shaped into many different shapes and colors. This website sells cheap silly bandz. Sells outdoor clothing for all types of weather! This website is about The Reflector newspaper. Which is another newspaper in our area. An online shoe store that is also the store's website. You can order online or look what they have and then go to the store. A popular store that sells clothing, shoes, and much, much more!!!!!!!! Sells popoular clothing, shoes, and more!! A food bank providing food for the less fortunate all over Clark County. Current information about nutrition, viruses & various health issues. Shows some of the worst meals provided at restaurants. A website about teen depression. talking about obesity rates and how they have skyrocketed. talking about how much you should eat, and how to eat less/healthier. also has obesity rates. A website all about teen depression. has a list of diets and how the 'work'. 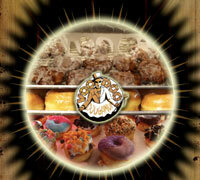 VooDoo Doughnuts is a popular doughnut shop in Oregon that sells all types of doughnuts including the bacon maple bar. The Pacific Northwest Lifestyles topic is important to us because we believe it is important to educate the world about our place on our planet by describing the way we live. This is our school district website. It tells about the important things happening in our schools. Local restaurants are important to our society, helping our local economy grow. People living in our area often visit local restaurants and other local businesses. Burgerville is a northwest fast food restaraunt with dine-in seating. They use northwest grown food and make feature dishes according to the food that is in harvest that month. Since 1981, C-TRAN has provided the citizens of Clark County with safe, reliable and convenient public transportation. With 19 local routes in Clark County, 7 Express commuter routes into Downtown Portland, 4 Limited routes with service to MAX light rail and our reservation-based Connector service in Camas, Ridgefield and La Center, C-TRAN can get you to many places. This Museum is very important because it tells us about our past.It is a non-profit organization. This website tells all about our city and tells us what is happening in our area. We can get information on the dates of the fair, and what's going on there. This is where Battle Ground and the rest of Clark County gets it's water and electrical energy. They are focusing now on becoming greener. Clark County is the county that we live in. This website is the site that tells us what is going on locally that is important or may interest us. Fred Meyer is our other major super market in the northwest. It sells every from furniture, to groceries, to clothing. It your one stop shopping place. Fred Meyer is one of the biggest grocery suppliers in the northwest. Battle Ground's public library website is great because you can put books on hold from home, and then go pick them up when they come in. Many small businesses grow here. This is an important part of the northwest lifestyle. Going Greeny has aa bunch of things to do involving going green. It has games, tip, and fun activitys to do that gives you fun ways to go green. This website provides up to date news on how we're going green. It gives a picture of whats going on in the green world. Green Home provides a bunch of furniture and green items to make your house green. Lewisville Park is a day use park that has accommodations for large group picnics in a very well maintained setting of old growth trees and grassy open areas, right on the river bank. There are also several spots for just your family picnic. You can remember what is was like to be a kid by joining them on the swings. The clean restrooms and all the facilities make this a park that you will want to come back to many times. McDonalds is a fast food restaraunt that is known for its 'delicous fries', the mcrib, and the big mac. This website has specific research on washington's economy. Our community band plays at local events and gatherings. Open to high school level and up . These homes are very important in Battle Ground. There are many currently being built. The pacific northwest is a big producer of its own food, we also like organic foods. This website is all about campianing for health, justice, sustainibility, peace, and democracy. This is a popular local vacation spot. Many people go camping here every summer. This website provides useful tips to the average mom to save money and go green. It gives articles on all kinds of usefull info from kids to food. Starbucks Coffee is a local favorite and one of the best places to get a kick-start in the morning. Subway is a fast food restaurant that allows you to make your own sub sandwich and features the five dollar footlong. Todia is a japanese buffet located in the pioneer courthouse mall and is a great place to have lunch or dinner. Trader Joes is a healthy organic food store. Winco is a supermarket that is only in WA,ID,NE,CA,OR,and UT. World Wqatch has a list of subjects that you can click on. This then takes you to a list of books on that certain subject. Economy watch has not only local information but also worldwide. Green Fuel Spot allows the viewer to see their economic info on their life. McMenamins was founded by two brother and they restore historical buildings into restraunts, wineries, breweries, pubs, movie theaters, etc. They try to be as self sustainable as possible and grow their own food. This website provides a good place to look for clothing that is eco freindly. Shows the state economy and budget division as well as the current population and many other things. This is the local jail. Battle Ground and surrounding communities all use this jail. This is Battle Ground's local movie theater.